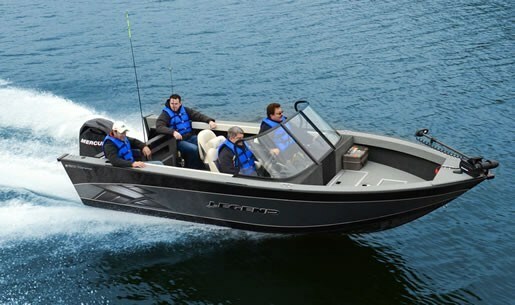 From Legend Boat's website, "Duhamel & Dewar began in 1968 as a tire dealership in Sudbury, Ontario….created the Legend Boat line in 1985, which eventually became the business' main focus….Legend Boats takes pride in being a homegrown, Canadian brand…. Boats are manufactured at its head office in Whitefish, and then distributed to over 50 boat dealers across Canada…. 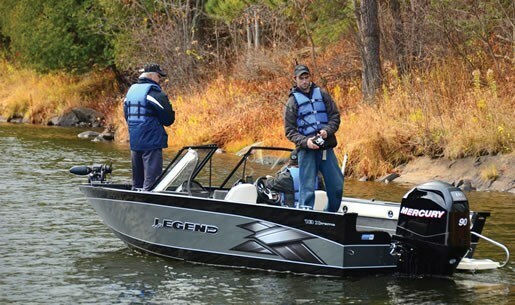 Designed by Canadians and built for Canadians…"
For 2012, Legend Boats offers 36 models of Utility, Side Console, Full Windshield, and Pontoon boats from twelve to almost twenty-six feet. The 20 Xtreme is the largest of three models in this Xtreme fishing series starting at sixteen feet, and although not a new model for 2012, has been "tweaked" with new features. The 20 Xtreme is intended for big water fishing with its wide (over 8-foot) beam, deep (45") hull with 31-inches of inside depth, and 17-degree deadrise bottom design with hard chines. 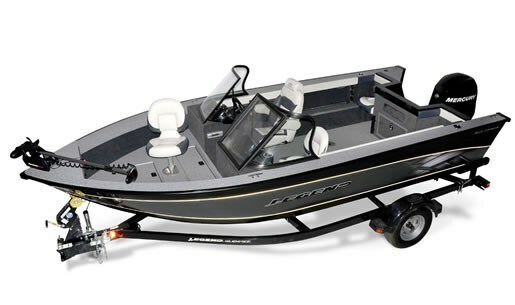 It is constructed of all-welded, .100 gauge, two-piece aluminum with full length bottom ribs and injected level foam flotation with treated 7-ply marine-grade plywood floor and decks with a lifetime warranty against warping or rotting. The hull carries a transferable "Leakproof for Life" warranty. It can be rigged with up to a 175 hp Mercury outboard. 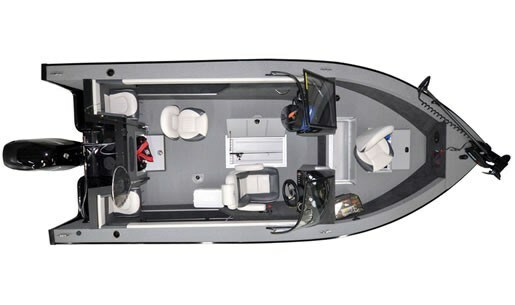 Flexible seating arrangements are a necessity on a large, dedicated fishing machine and the 20 Xtreme accomplishes this with a deluxe, reclining, captain's chair with flip-up bolster, armrests and slider, plus three other cockpit floor-mounted bases plus one on the forward casting deck to accommodate the two other standard removable contour swivel chairs. To this, Legend adds what it refers to as a "flexible big-water back end" wherein two contoured removable jump seats beside the motor well provide a padded secure downrigging area. Necessary "big water" fishing amenities on board the Legend 20 Xtreme include a large 37-gallon aerated livewell with overflow protection in the forward casting deck, both port and starboard side 9-foot "Drop ‘N' Go" rod storage, room for six more rods in a centre floor lockable storage compartment with tube holders, plus a separate bow in-deck storage locker. Storage shelves are found under the helm console. The passenger console includes a glove box. The very modern, almost automotive looking helm has a woodgrain dash with chrome-bezeled gauges for speedometer, tachometer, voltmeter, fuel gauge and integrated drink holder behind a custom tilting steering wheel. There are many standard equipment features on the 20 Xtreme which are often options on other brands. Such notable items include a full stand-up foul weather top with side and aft curtains and bow cover. Also standard is Legend's "EZ-Clean Wash-Down System" with 15-feet of hose to help you clean up after landing the big ones. A MotorGuide W55, 54" wireless trolling motor with removable bracket, foot control and handheld wireless remote is standard along with a bow panel with outboard trim switch. A Humminbird Piranha MAX 170 fish/depth sounder as well as an AM/FM/stereo with MP3 port and two speakers are standard. So is the custom-matched Glide-On bunk trailer with swing tongue and jack stand. 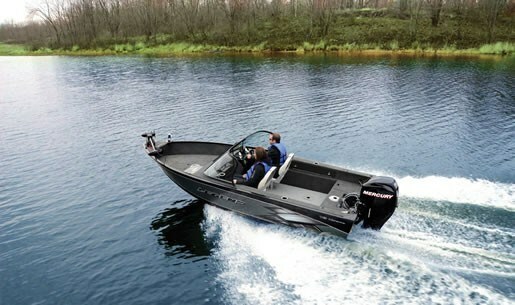 The standard Mercury outboard power for the 20 Xtreme is a 90 ELPTO 2-stroke. From there you can upgrade from a 90ELPT EFI 4-stroke through 115, 135, 150, up to 175 horsepower in either two or four stroke from Mercury. As Legend says, "The bigger the fish bowl, the bigger the fish and the 20Xtreme tackles even the biggest fish bowls."